Irma Sheppard - meherbabatravels jimdo page! 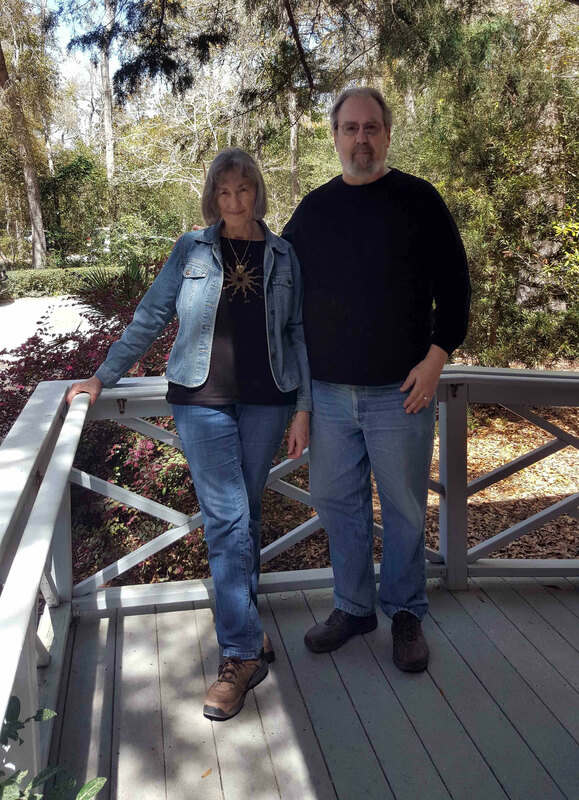 March 2019 ; Meher Center, Myrtle Beach, SC. Photo taken by Anthony Zois. 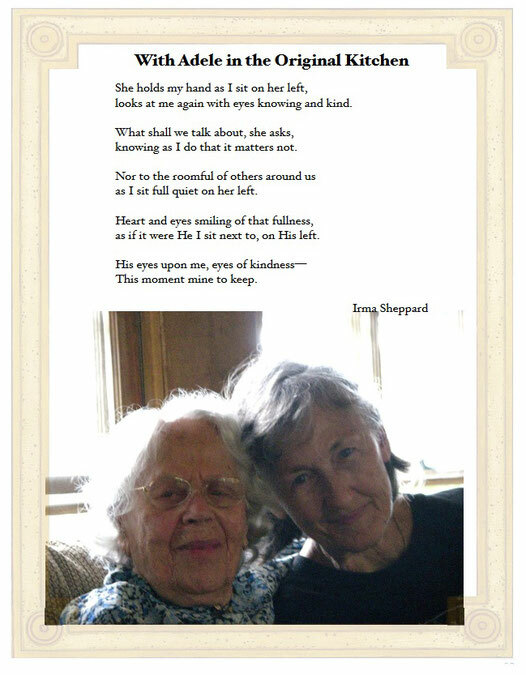 Irma Sheppard immigrated to the USA in 1962 via Canada and Germany. 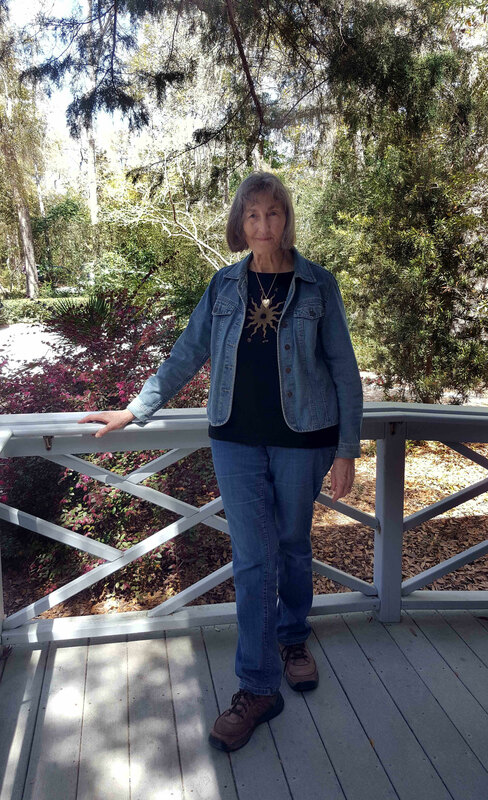 She has lived on the edges of this country, and for the past 30-some years in Tucson, AZ with her husband and a succession of cats. She is a psychotherapist in private practice. 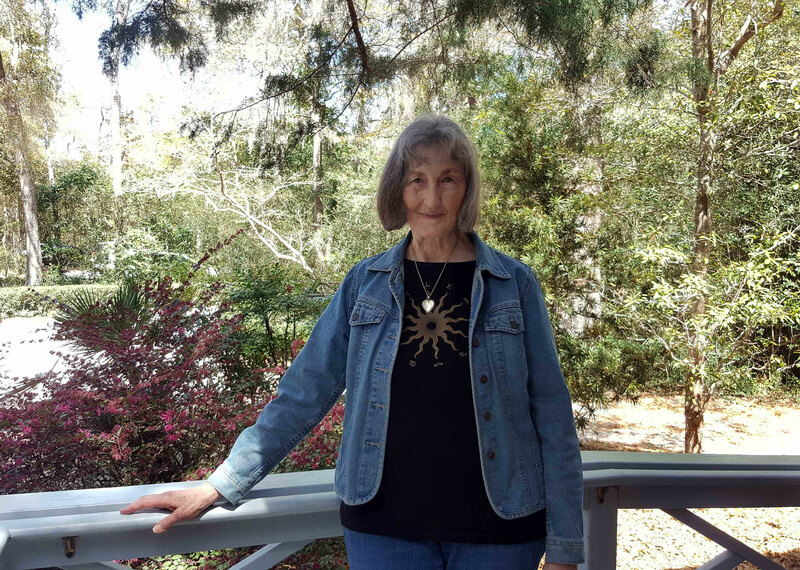 Her short story "The Human Touch: A Triptych" won the Martindale Literary Award in 2000, and was published in Kaleidoscope. Her short story, "A Real Piece of India" was published in SandScript and in Portrait. She edited and co-authored Beads on One String Tour 2010 and Beads-on-One-String Heartland Pilgrimage 2013. 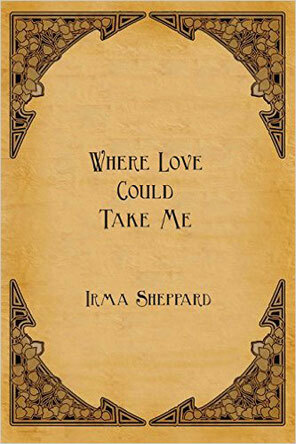 Her books of poems and creative non-fiction include Inheritance and Where Love Could Take Me. She is preparing her next book, The Well of Longing, for publication in 2015. True account of a woman's adventures from refugee childhood in Germany at the end of WW II to emigration to Canada and to the United States. 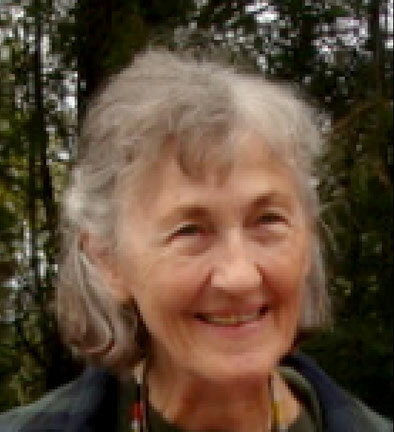 Her travels led her back to Germany, to Greece and to India in search of everlasting love and Meher Baba. 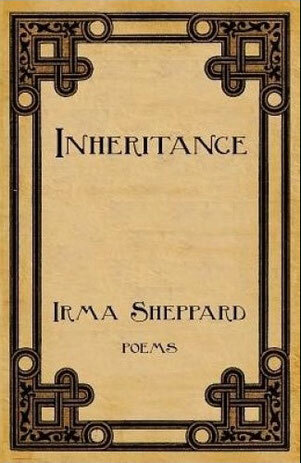 Written in prose and poetry. 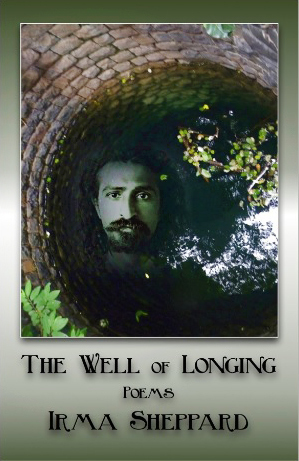 The Well of Longing is a book of poems which trace from the author's childhood through adulthood and into senior years, a time span of seventy years, the stepping stones leading toward increased awareness, love and longing for the Presence of God. The opening poem consists of an unconventional view of the long scapegoated Judas, showing him in a true light as the loving and well-loved disciple of Jesus. Part Two presents the impact of growing spiritual awareness on the author's every day life situations. 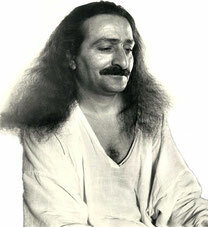 It describes the author's personal experience of the Presence of Avatar Meher Baba, and the continuing fragrance of His Love in her life. Many of the poems in Part Three of the book are meditative in nature, comprised of thoughts and intuitions which arose in the author 's daily life, as relationships and nature reflected some knitting together of spiritual value and sensory or emotional experience. 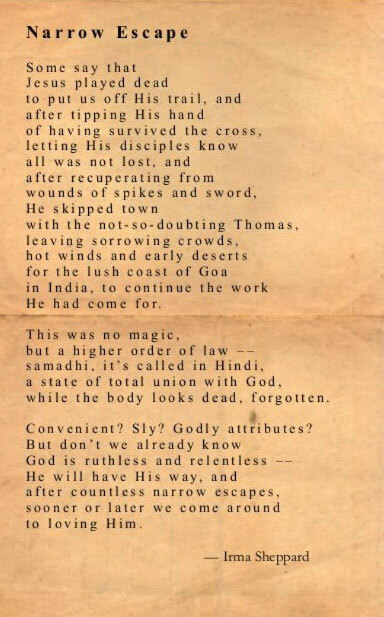 Some poems touch on God's role as Trickster-the One Who makes happen what needs to happen, contrary to conventional reason and logic. A prevailing use of strong imagery brings the reader immediately into the author's personal experience. The poems are written in various styles: free form, pantoum, ghazal, haiku. March 2019 ; Irma with her husband Karl Moeller at the Meher Center, Myrtle Beach, SC. Photo taken by Anthony Zois. the grace in each fingernail and toe. in the heart of every song. from His photographs on the walls. our quiet sitting, the humming in our veins. Under His gracious gaze we meet long lost kin. All my relatives, we say. All my children, He says. How happy I am you are here, He says. How happy we are that You are here, we say. into the Reality of His Love.